January 1988 was a landmark month for mineral processing with the launching by Pergamon Press of a new research journal, Minerals Engineering, in what was regarded initially as direct competition with Elsevier's International Journal of Mineral Processing (IJMP). The two journals did not sit comfortably together for the first few years, until the acquisition of Minerals Engineering by Elsevier, after which they were regarded as 'sister journals' (see posting of 8 January 2013). 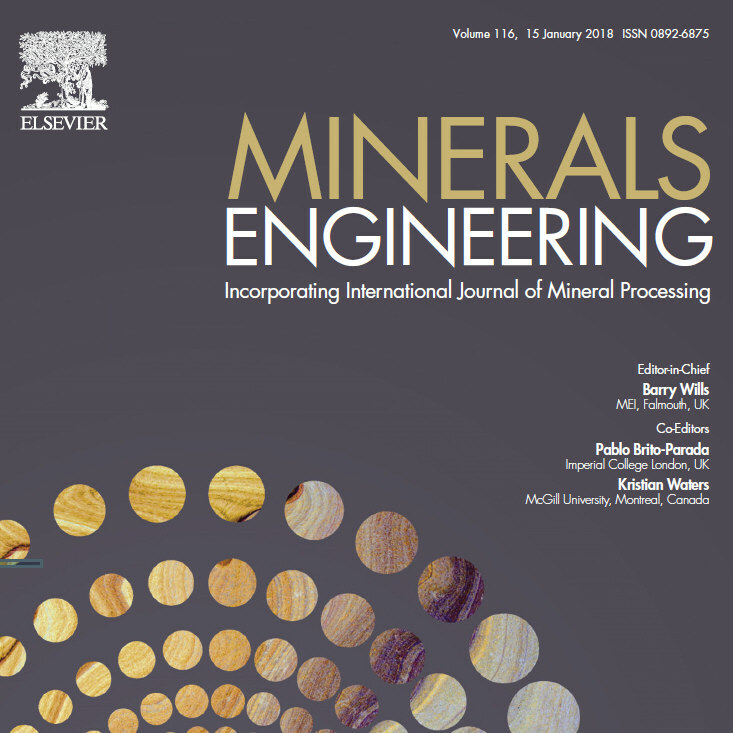 Now 30 years on, January 2018 is another landmark month, with the publication of the first issue of the two merged journals, volume 116 of Minerals Engineering, with not only a brand new look, but also a completely new editorial structure. 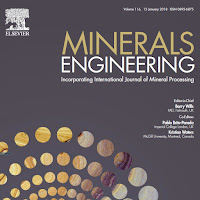 For over 25 years I was sole editor of Minerals Engineering, but now my role is as Editor-in-Chief, and I will be assigning manuscripts to two editors, Dr. Pablo Brito-Parada, of Imperial College, UK, formerly Associate Editor of Minerals Engineering, and Assoc. Prof. Kristian Waters, of McGill University, Canada, former editor of IJMP. The two editors will work with six Assistant Editors in the distribution of papers to reviewers. Dr. Brito-Parada's team will be Dr. Anita Parbhakar-Fox, of the University of Tasmania, Australia, Dr. Greg Ballantyne, of the University of Queensland, Australia, and Dr. Martin Rudolph of the Helmholtz Institute Freiberg for Resource Technology, Germany. Working with Dr. Waters will be Dr. Zoltan Javor, of Aalto University, Finland, Dr. Ahmet Deniz Bas, of Laval University, Canada, and Dr. Erin Bobicki, of the University of Toronto, Canada (see also posting of 16 October 2017). Apart from the structure, there will be a major change in the way that special issues (SIs) are published. Previously SI papers were assigned a specific volume, which was typically published around 12 months after the relevant SI conference. Henceforth, when a SI paper is accepted it will immediately be published in ScienceDirect in the first available volume of the journal- there will be no dedicated volume for the SI, but each SI paper will be assigned to a Virtual Special Issue on ScienceDirect. VSI addresses one of the most common complaints by authors regarding special issues: slow publication speed; nobody likes waiting, least of all authors whose papers have already been accepted for publication. Our aim is to maintain Minerals Engineering's reputation as the world's number 1 mineral processing journal, and I would be pleased to answer any queries that you might have regarding the new system. Congratulations Barry; you are thinking of future to ensure our Journal keeps its rightful place and thus serving the profession. All the best to all--New Year; New Era.